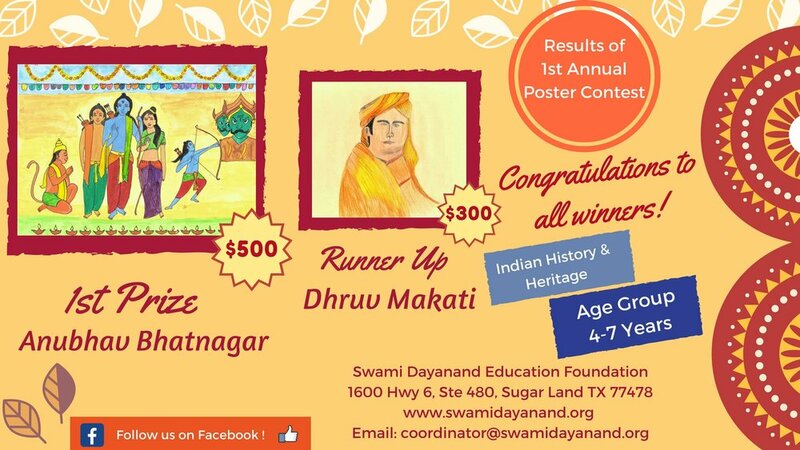 The Foundation organized its first annual poster contest in May-July 2017 on Indian History & Heritage in USA. The poster contest was divided in three age group; 4-5 years, 8-11 years and 12-15 years. The contestants were asked to send the original hand-drawn posters on Swami Dayanand, Chhatrapati Shivaji, Ramayan, Rani Laxmi Bai and Maharana Pratap. 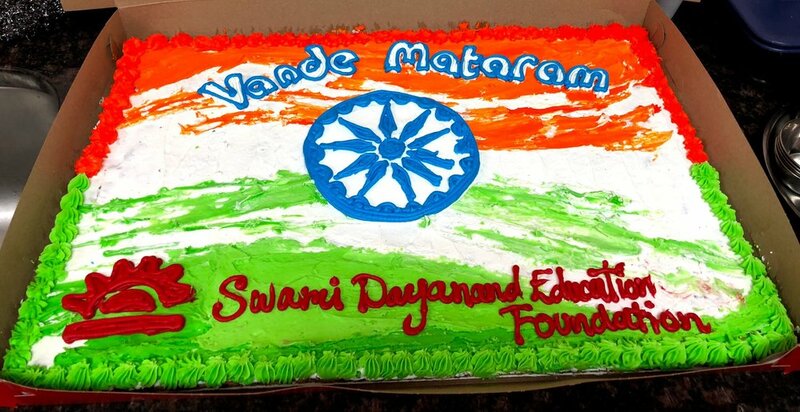 The Foundation organised Vande Mataram Loud Out Recitation Contest for children on January 20th, 2018 in Sugar Land, TX. The contest was divided in three age groups, (1) 4-8 years (2) 9-12 years (3) 13 to 18 years. Vande Mataram Out Loud Recitation Contest was held on January 20, 2018 at Arya Samaj Greater Houston from 2 to 5 pm. We had more than 30 shortlisted children participated in the contest. They were divided in 3 age groups. The youngest participants from 4 to 8 years were required to sing only first two paragraphs of Vande Mataram. We had almost 5 children recite the full Vande Mataram from the youngest group. The hall was packed with more than 100 adults. We had 4 judges judging the children on physical presence, voice and articulation, dramatic appropriateness and overall performance.There were two accuracy judges who were watching children's pronunciation and if they were missing any word, line or stanza. The children did extremely well. Here are the results and the pictures of children who won the prizes. The foundation will organize more events for children regularly on Indian History and Heritage.